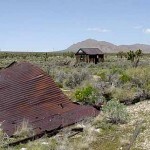 The A2B Journey found another ghost town on its tour of the Mojave National Preserve. Cima, California started off in 1906 as a railroad siding for the Union Pacific. Later it served as a small commercial center for miners and ranchers. It does still have a functioning U.S. Post Office and a pay phone! Today, Cima is better known for its proximity to Cima Dome & Volcanic Field National Natural Landmark. This volcanic range contains 52 vents and more than 65 lava flows. Enjoyed a nice run through the rest of the greenway that I discovered yesterday. It is beautifully designed with wide paths and lots of practical amenities for runners, cyclists, walkers, and dog walkers. I think that I will make this part of my regular long runs. I got a bit of a late start. So I was concerned about the heat and hydration. I drank lots of water as I stretched and took one bottle of water out the door with me. I made sure to ration the water by taking a drink every mile and whenever I crested a hill. When I returned, I had more water at home waiting for me to use for my cool down. As I stretched this morning, I wondered about what I could do running wise if I were more flexible and limber (two words that have never been used to describe me). As I get ready to do more speed work, I know that I am going to have to spend more time stretching. (Faster running puts more strain on muscles. Therefore, they need more stretching and warm-up time.) But stretching for long periods is hard for me. I do not enjoy it. Partly because it is kind of boring. However, while running I paid attention to the muscles in my legs, particularly my quads and hamstrings. I considered the effect extra stretching would have on my legs and stride. Then, I thought about my running goals for the year and the impact that stretching would have on achieving those goals. I realize that I need to learn how to embrace it. But, how? As I continue to run, I start brainstorming ways to increase the time and effectiveness of my stretch time. Thoughts include hiring a drill sergeant, rewarding myself with ice cream, etc. In the end, I think I will try closing my eyes while stretching and envisioning myself running with fast, smooth, long strides. That’s my biggest motivation for doing it anyway. Adding some faster than normal paced music might help as well.